Countries other than the United States grant asylum to LGBT refugees. The group ILGA Europe offers extensive lists regarding LGBT asylum seekers legal status country-by-country. This list is offered for both European and non-European countries. Below are a few groups that provide information and assistance to organizations and individuals seeking information for LGBT asylum seekers outside of the United States. This may be useful for people currently outside of the U.S. considering leaving their home country due to experiencing persecution. This may also be useful for asylum advocates looking to develop their activities through tips from elsewhere. Please note: LGBT-FAN is not officially affiliated with any of the below groups. The LSVD supports and aids the gay and lesbian community with issues of legal and social discrimination, marginalization and violence, while also aiming to improve the situation of lesbian and gay rights in German society by promoting personal emancipation, greater political and social participation and opportunities for full integration into society. To learn more about LGBT asylee rights in Germany click here. 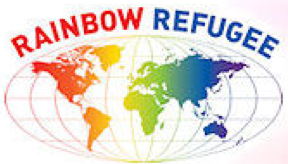 The Rainbow Refugee Committee (RRC) is a Vancouver based community group that supports and advocates with people seeking refugee protection because of persecution based on sexual orientation, gender identity, or HIV status. Rainbow Refugee Committee engages in outreach, advocacy and public education on QLGBT/HIV+ refugee issues. This group also provides information to asylum seekers outside of Canada. Visit the RRC webpage for more information on seeking asylum in Canada or follow them on Facebook for updates on their work. MCC Toronto has been actively assisting inland refugee claimants settle in Canada and have a successful Immigration and Refugee Board hearing since 2005. It has helped over 800 such refugee claimants in this time. It also sponsors LGBT refugees from overseas and provides settlement support and financial assistance during their first year in Canada. It has assisted seven refugees from Iran, Iraq and the Democratic Republic of Congo in the past three years. It offers Community and Social support in a spiritual setting. Membership in the church is not required to obtain support. It also offer referrals to legal and other social assistance in the city of Toronto. The group has a vibrant faith/spiritual community that reaches over 116 countries through our weekly morning webcast of our service. Belong to founded the Asylum and Refugees project to provide information for LGBT individuals seeking sanctuary in Ireland. They offer a welcome guide to newly arriving refugees in five languages: English, French, Chinese, Arabic & Urdu, as well as a guide for service providers on how to best support newly arrived LGBT asylees and refugees. ARDHIS is a Paris based organization that was born from a collective of undocumented LGBT. 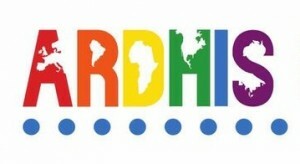 Since 1998, this organization has advocated for the rights of LGBT to seek asylum because of persecution in their country for their sexual orientation, gender, and gender expression. The UK Lesbian & Gay Immigration Group provides support for LGBT asylum seekers, monitors legal developments in countries of origin, advocates on behalf of LGBT equality, and trains service providers on issues relevant to LGBT asylees and refugees.